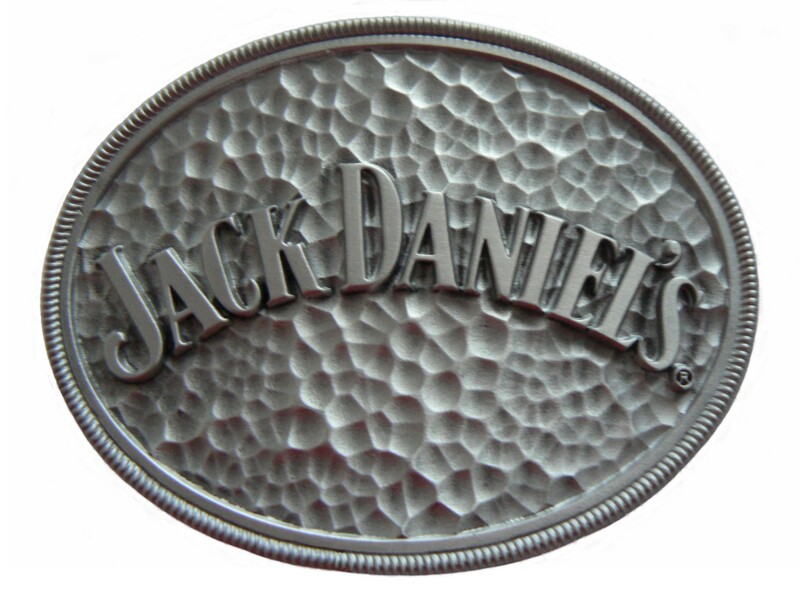 We offer a great selection of Jack Daniels Belt Buckles that are very affordable and made from high quality pewter. This classic bronze tone Jack Daniel’s buckle features the brand’s iconic lettering and the famous No.7 emblem on an oxidised textured background. Striking and stylish in its simplicity the colour echoes the tones of the liquor itself! 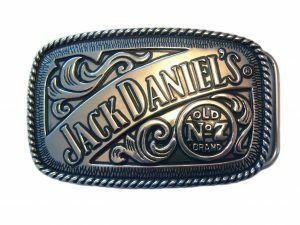 This highly collectable buckle is an officially licensed product making it the perfect gift for any Jack Daniel’s fan or Americana enthusiast. This highly polished silver tone Jack Daniel’s buckle features a bold and striking design. The embossed detail and lettering is in a natural pewter colour with a small amount of oxidised patina and highly polished raised areas to show off the detail of the flourishes, lettering and twisted rope edge. This highly collectable buckle is an officially licensed product making it the perfect gift for any Jack Daniel’s fan or Americana enthusiast. 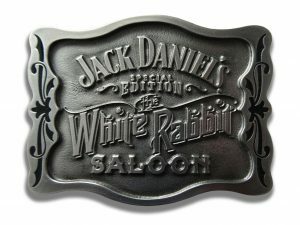 This is an elegantly shaped special edition Daniel’s belt buckle released to commemorate the 120th anniversary of the opening of Jack Daniel’s White Rabbit Saloon in Lynchburg. A very striking buckle with minimal colour and exquisite design. The embossed detail and lettering is in a natural pewter with a smooth finish which contrasts nicely with the finely textured background. This highly collectable buckle is an officially licensed product making it the perfect gift for any Jack Daniel’s fan or Americana enthusiast. 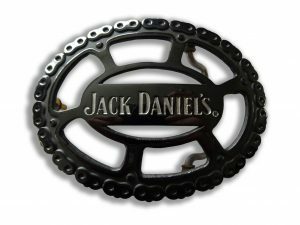 This is an unusually shaped Jack Daniel’s designer belt buckle featuring cut out areas and an embossed bike chain around the outside. A very striking buckle with minimal colour and exquisite design. The buckle has a natural pewter finish with etched lettering. This highly collectable buckle is an officially licensed product making it the perfect gift for any Jack Daniel’s fan or Americana enthusiast. 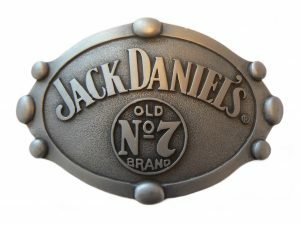 This is an elegantly shaped Jack Daniel’s No.7 Oval designer belt buckle. A very striking buckle with minimal colour and exquisite design. 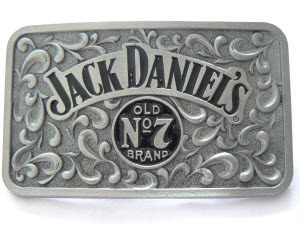 This buckle is one of the most popular items in the Jack Daniel’s belt buckle range. The embossed detail and lettering is in a natural pewter with a smooth finish which contrasts nicely with the finely textured background. This highly collectable buckle is an officially licensed product making it the perfect gift for any Jack Daniel’s fan or Americana enthusiast. This stylish and understated buckle in solid zinc and pewter has a really contemporary and minimal feel. 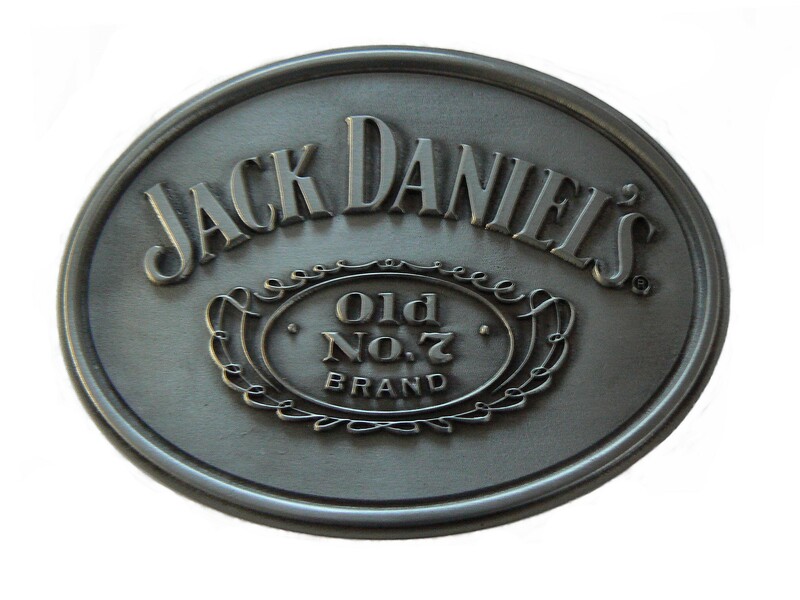 No colouring or enamel, just superb deeply embossed Jack Daniel’s lettering and detail on a simple oval background. This is a solid zinc and pewter belt buckle with superb deeply embossed swirls around a centre oval depicting Jack Daniel’s lettering and a black enamelled silhouette of a Rodeo rider. This is an exquisite and stylish belt buckle made from high quality zinc and pewter. 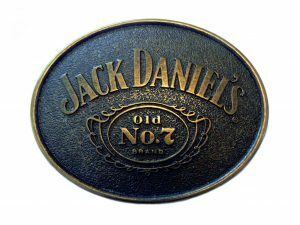 There is no colour other than the natural metal but the embossed words – Jack Daniel’s – are thrown into sharp relief against a hammered effect background. This is the silver and black elegantly shaped Jack Daniels Roses Designer Belt Buckle. A very striking buckle with minimal colour and exquisite design. 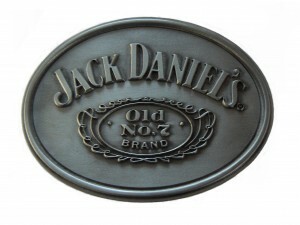 This buckle is one of the most popular items in the Jack Daniels Belt Buckle Range. The embossed rose detail and lettering is in a natural pewter and the background has been inlaid with a deep black gloss enamel. This highly collectable buckle is an officially licensed product making it the perfect gift for any Jack Daniel’s fan or Americana enthusiast. This is the Jack Daniel’s No. 7 classic designer belt buckle. A very attractive buckle with subtle texture and bold design. 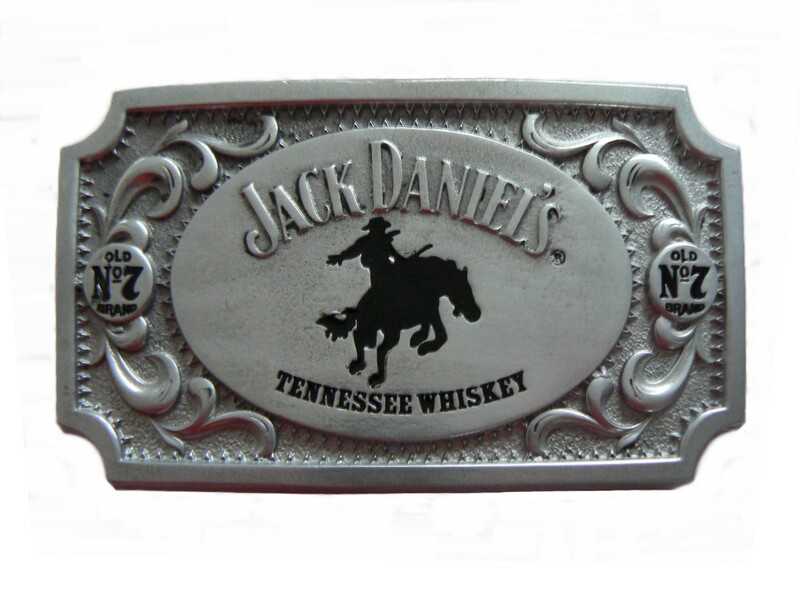 The buckle is oblong in shape and is one of the most popular items in the Jack Daniel’s belt buckle range. 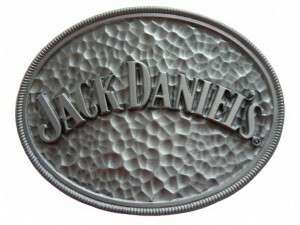 It is primarily a natural pewter colour with embossed detail and Jack Daniel’s lettering which has a black enamel inlay. This buckle is ideal for any Jack Daniel’s fan or Americana enthusiast. This buckle is an officially licensed product, making it a highly collectable item. 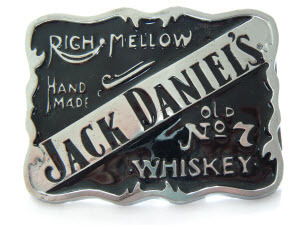 This is the Jack Daniel’s Mellow Designer Belt Buckle. 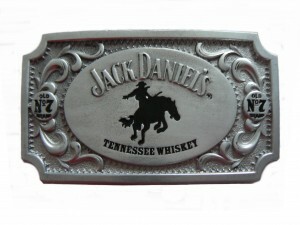 A very attractive belt buckle with iconic Jack Daniel’s branding and design. 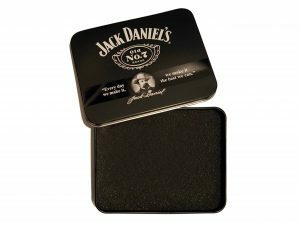 The buckle has an attractive shape and edging and is one of the most popular items in the Jack Daniel’s belt buckle range. It has a natural pewter raised design and lettering which has been carefully inlaid with a black enamel background. This buckle is ideal for any Jack Daniel’s fan or Americana enthusiast. This is an officially licensed buckle and therefore highly collectable.